﻿ What are features of Screw Sand Washing Machine? 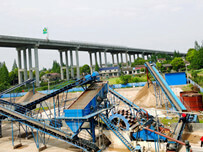 Location: Home » NEWS » What are features of Screw Sand Washing Machine? 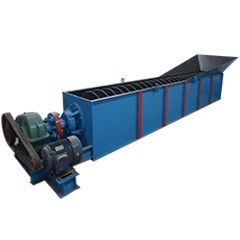 What are features of Screw Sand Washing Machine? 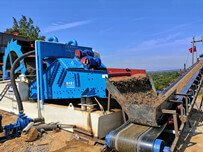 Screw Sand Washing Machine is a high efficiency sand washing equipment. 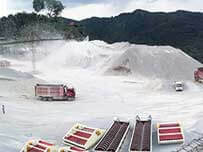 The one of the largest features is large processing capacity, low consumption and losing wearing due to lack of screen. 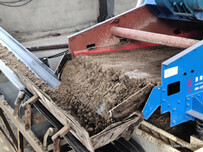 The sand materials can be stirred constantly by screw parts to make mud on the sand materials dissolved water, flow slurry and other impurity away from the overflow mouth upper and release sand materials by another exit. Screw has the higher using rate of energy, reduce energy loss and make full use of energy. It reduce wearing rate of some parts, because Screw Sand Washing Machine needn’t to increase screen, so it can reduce wearing of screen and prolong using life of equipment. The Screw Sand Washing Machine has excellent washing efficiency compared to Wheel Sand Washing Machine. The longer washing time of sand materials are, the better the washing efficiency is.